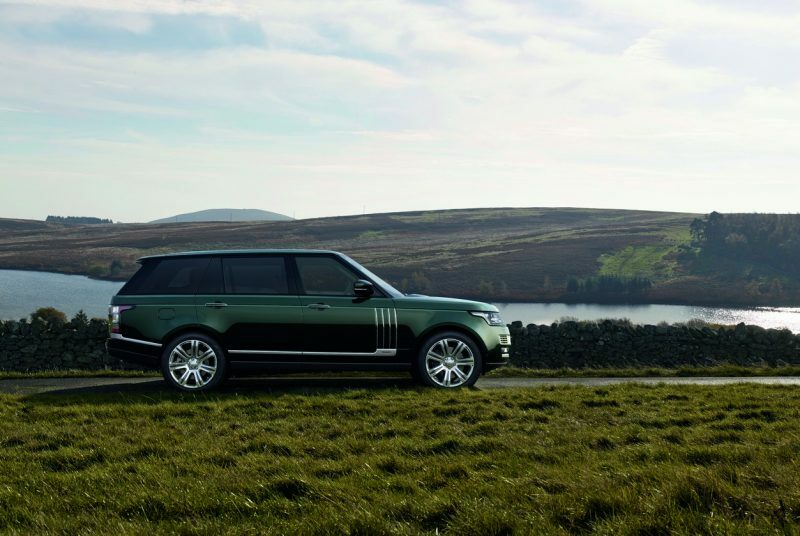 While it’s been available in the UK for the past 12 months, the fantastically opulent, phenomenally capable, and fulsomely priced Holland & Holland Range Rover will be finally be available in the United States this spring. 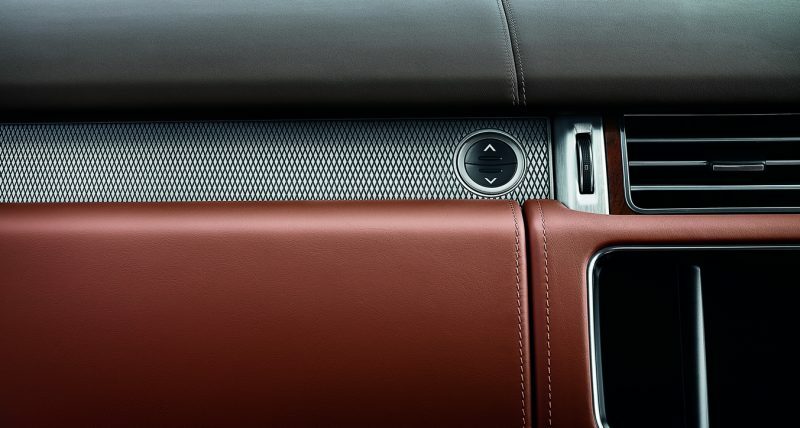 The Holland & Holland Range Rover features hand-crafted elements inspired by Great Britain’s most renowned maker of custom shotguns. Plunk down a week’s worth of arbitrage on one of these beautiful machines and you’ll join an exclusive club of just 30 people who will own this homage to British royalty. 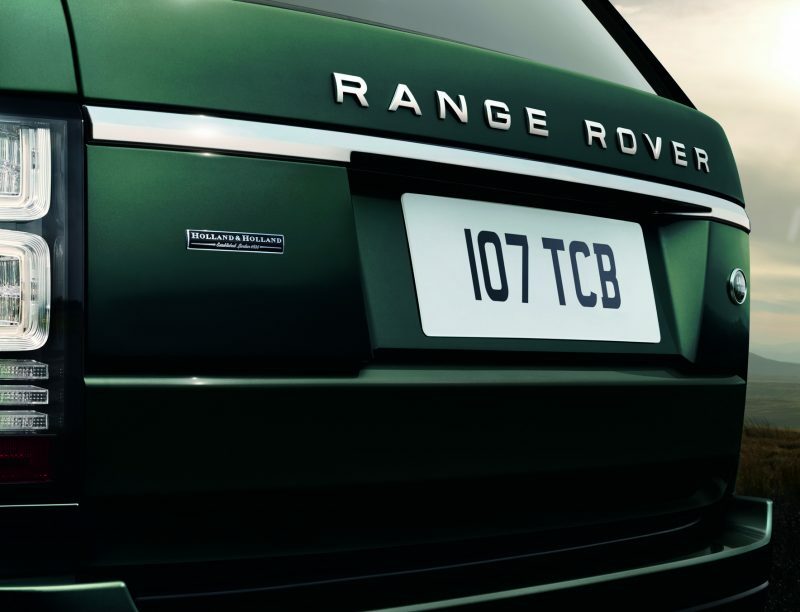 Artfully customized by the team at Jaguar Land Rover Special Vehicle Operations the Holland & Holland Range Rover is only available in a unique green exterior paint – the Holland & Holland signature color. 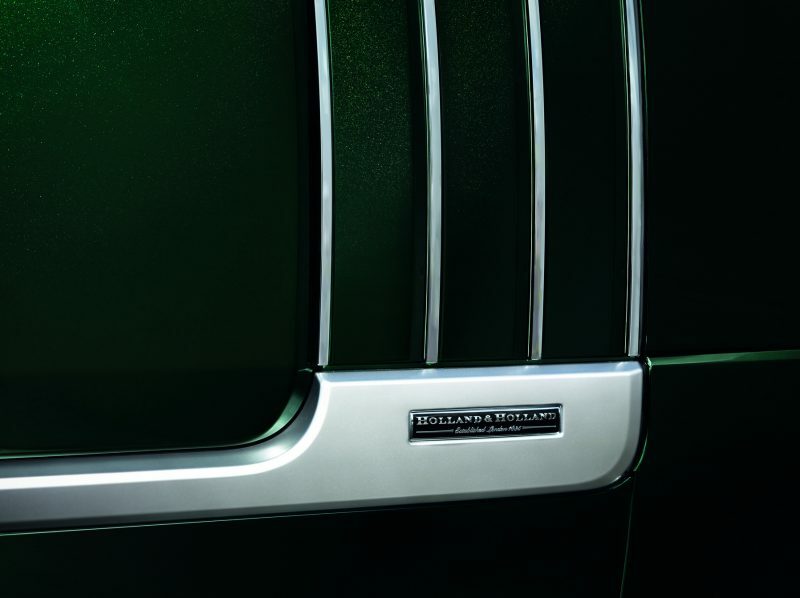 You’ll also find a unique grille and door handles as well as special badging on the side vents and tailgate. Inside it gets even better. 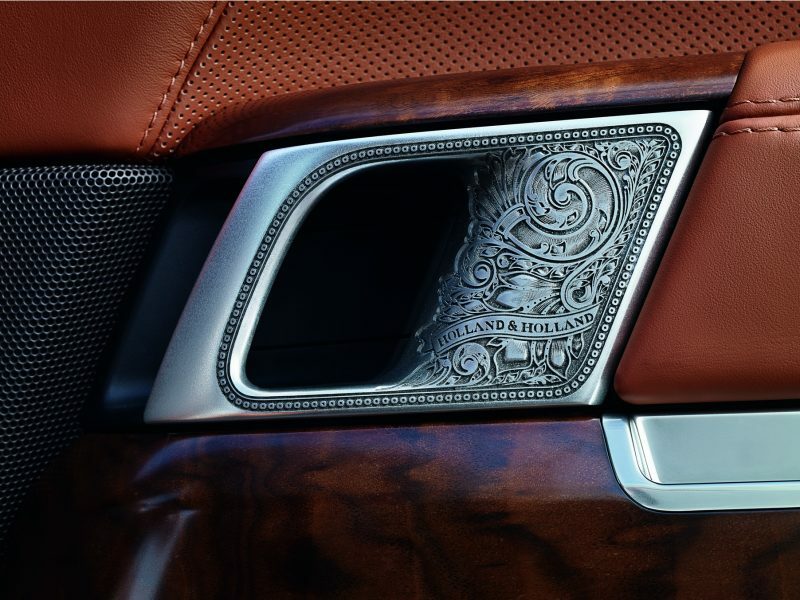 The brightwork is specially engraved in a diamond pattern to match the fore end of Holland & Holland guns. The polished French Walnut veneers replicate the wood used in gun stocks. 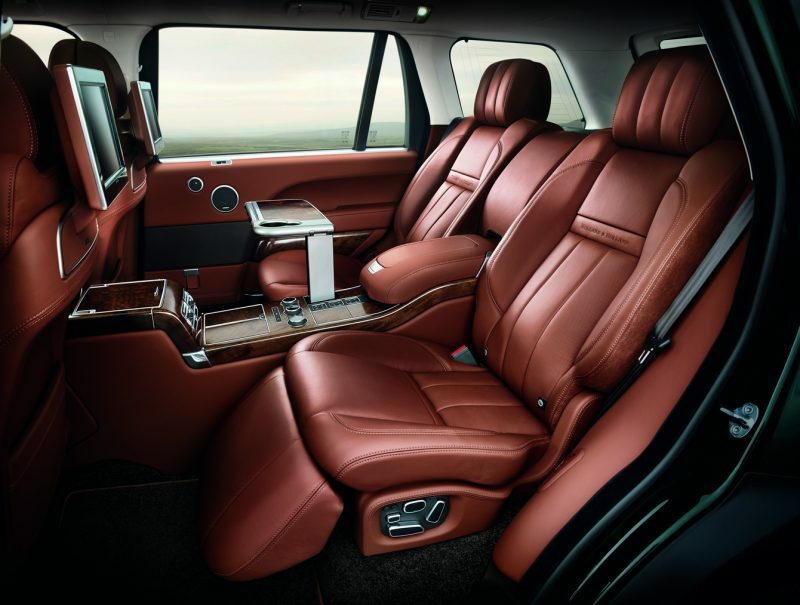 The espresso and tqan interior is unique to this model and the executive rear seating reclines by 17 degrees so you can sit back and relax after a day trekking through the fields of your hunt club. 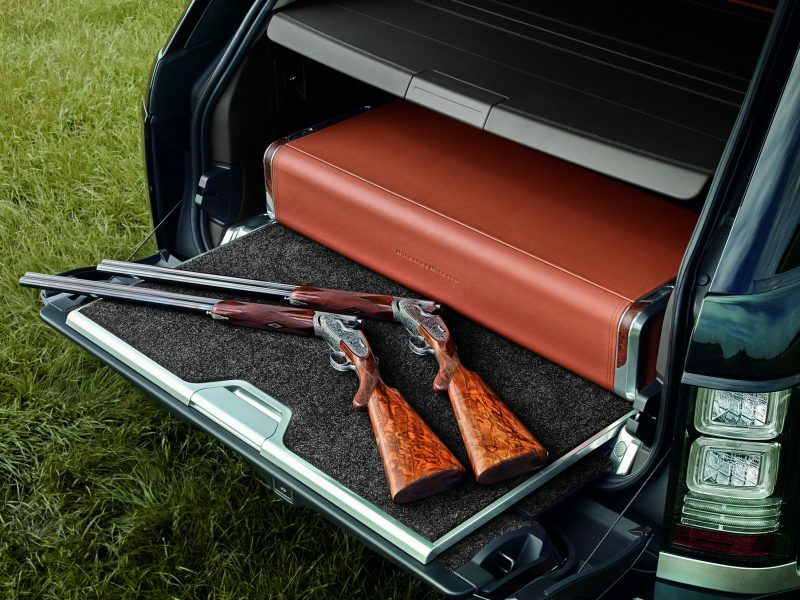 Finally, the rear deck has includes a sliding locking, leather trimmed gun case that is custom designed to hold two shotguns from Holland & Holland. 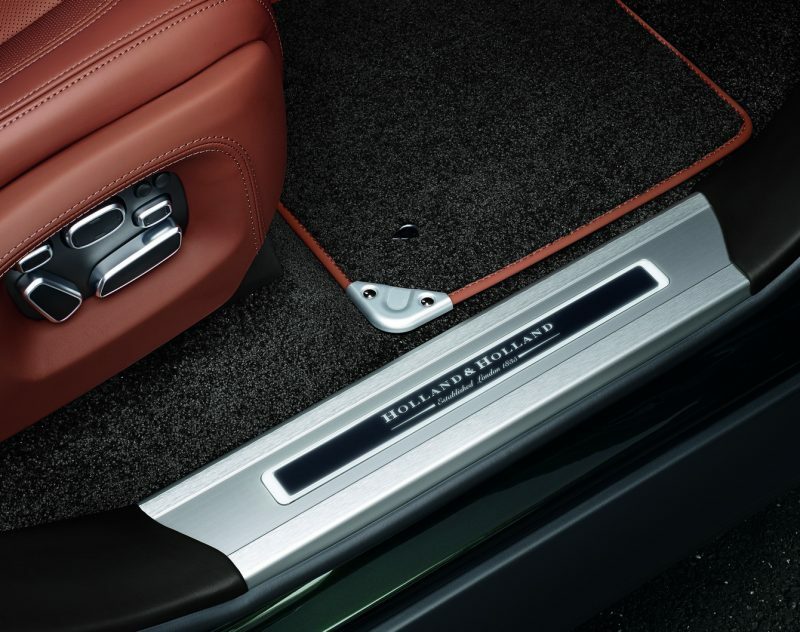 All this luxury does come at price, $244,500 to be precise. It does not, however, include the matched set of shotguns. Those can be purchased separately from Holland & Holland starting at $43,000 a piece.